Sephora offers a rewards program that allows you to earn points and redeem them generally for deluxe products (U.S. and Canada only). It also gives you other benefits: birthday gifts, sales, holiday cards, etc. Click here to read my detailed blog post. This year, all beauty insiders get to choose a mini set from Fresh or Marc Jacobs. Fresh set includes mini Fresh Soy Face Cleanser and Fresh Rose Face Mask. 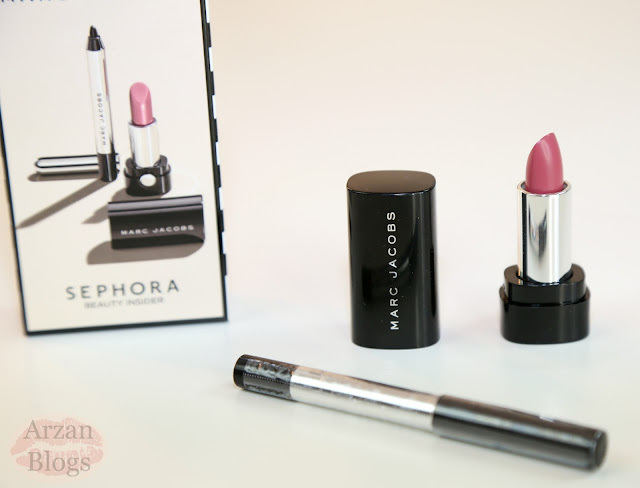 Marc Jacobs Beauty set includes Marc Jacobs Highliner Gel Eye Crayon - Blacquer 42 and Marc Jacobs Le Marc Lip Crème Lipstick (shade Kiss Kiss Bang Bang 216).